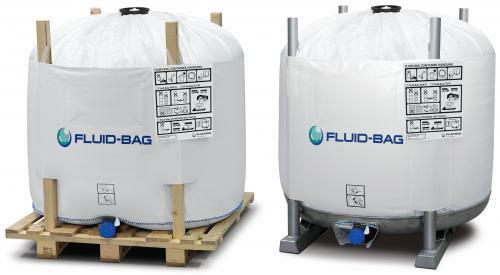 Fluid-Bag is a Finnish company that manufactures flexible industrial bulk packaging solutions for liquids and semi-solids. We study our customers’ applications carefully so that we can deliver complete systems and services for handling and transporting many kinds of liquids. Put simply, Fluid-Bag ensures that your products are handled in the safest, most cost effective and ecological way possible throughout the production chain to the final end user. Fluid-Bag’s container solutions are successfully used by major international players for products such as fruit preparations, bakery fillings, lubricants, inks, cosmetics, pharmaceuticals and adhesives as well as many other liquids and semi-solids. Have you taken the time to evaluate your container system recently? Do you know how much residue is left in your containers and how much that extra waste costs you yearly? Have you considered that you could save storage space and return freight costs by eliminating empty rigid containers? Do you work with a high-viscous product that is tricky to handle? We are experts at these kind of evaluations, and we know how to simplify and save costs in your production chain.